1) Prusse – D’or à deux fasces de sable à la bande de gueules brochant sur le tout et ch d’une licorne courante d’argent Casque couronné Cimier la licorne issante Lambrequin à dextre d’or et de sable à senestre d’argent et de gueules. English: Or two bars sable a bend gules covering overall and charged with a unicorn courant [running] argent Crowned with a helmet Crest: the unicorn issuant Mantling: to the dexter or and sable to the sinister argent and gules. 2) Coire – D’azur à trois étoiles d’or Casque couronné Cimier un bras armé la main gantelée brandissant une épée le tout au naturel. English: Azure three etoiles or Crowned with a helmet Crest: an arm armoured the hand gauntletted brandishing a sword all proper. 3) Prusse, Mecklembourg – (An., 11 mai 1826) – D’azur à un huchet d’argent virolé d’or au chef de gueules ch de deux épées d’argent garnies d’or passées en sautoir Cimier une tête et col de lion d’azur Lambrequin d’argent et d’azur Devise MISSUNDE 2 FEBR MDCCCLXIV. English: Azure with a hunting horn argent bands [encircling the horn] or a chief gules charged with two swords argent hilt and pommell or placed saltirewise Crest: the head and shoulders of a lion azure Mantling: argent and azure Motto: MISSUNDE 2 FEBR MDCCCLXIV. 4) Prusse – (An., 10 mars 1864) – D’azur à trois pignates mal-ordonnées d’argent Casque couronné Cimier cinq plumes de paon alternativement d’azur et d’argent. English: Azure three [small] jugs disordered [1 2] argent Crowned with a helmet Crest: five peacock feathers alternately azure and argent. 5) Allemagne – Écartelé aux 1 et 4 de gueules à un bras armé d’argent mouvant du parti la main de carnation tenant une épée au 2 d’azur à trois fleurs-de-lis mal-ordonnées d’argent au 3 d’azur à trois épis mal-ordonnés d’or Casque couronné Cimier une fleur-de-lis d’argent entre un vol de sable Lambrequin à dextre d’argent et de gueules à senestre d’argent et d’azur. English: Quarterly 1st and 4th gules with an arm armoured argent coming from the partition [pale] the hand carnation holding a sword 2nd azure three fleur de lys disordered [1 2] argent 3rd azure three tufts disordered [1 2] or Crowned with a helmet Crest: a fleur de lys argent between a pair of wings sable Mantling: to the dexter argent and gules to the sinister argent and azure. 6) de Krügsheim – Brandebourg – (Nob. du St-Empire, 12 sept. 1761) – D’argent au lion de gueules tenant de sa patte senestre un flambeau allumé du même. English: Argent a lion gules holding in its paw sinister a torch aflame of the same. The German surname Krueger developed as an occupational name for a person in medieval times and the Middle Ages in Christendom who made or stoneware jugs and mugs, or perhaps other glass and pottery, deriving from the Middle High German word kruoc, meaning pitcher or jug, or the older word kruog. The spelling variant Kruger man be an occupational name as well, denoting a person who was an innkeeper, from the German word krug meaning inn or tavern, which derived from the Middle Low German word kruch or kroch. Spelling variations and names with similar etymologies include Kruegger, Kruger, Krieger, Oldekröger, Krohger, Krugg, Crueg, Cruger, Crugar, Krøger, Kreueger, Kreger, and Kreeger. One of the earliest documented bearers of this surname was Lotze Crugir who was recorded in Kassel, Germany in 1351. A Henecke Krogher was also recorded in 1420 in Hannover. The name first established itself in Saxony. The Duchy of Saxony was an area settled by Saxons, a Germanic people from the North Sea coast, but where then subjugated by Charlemagne around 772. The Dutchy of Saxony existed from 804-1296 AD. Prior to this, the early medieval duchy was known as Old Saxony and existed from 500-804 AD. The following website provides a pedigree or lineage of the descendants of Carl Krueger of Germany. Many of his descendants live in Iowa, Minnesota, and Nebraska. The last name Krueger ranks 816th in popularity in the United Status as of the 2000 Census. The name ranks particularly in the top 100 surnames in two states: Wisconsin (16th), Minnesota (86th), and North Dakota (85th). In the following states it ranks in the top 500 surnames: South Dakota (116th), Nebraska (331st), Illinois (383rd), Michigan (390th), and Iowa (331st). The surname Kruger ranks as follows in Europe: Germany (213th), Austria (3,041st), and Switzerland (3,486th). It ranks 2,735th in Canada and 4,825th in Australia. The spelling variant Kruger ranks 2,439th in the United States, and ranks in the top 1,000 last names in the following states: Minnesota (297th), Iowa (433rd), Nebraska (450th), Wisconsin (858th), South Dakota (367th), and North Dakota (767th). The variant Kruger ranks as follows in Europe: Germany (195th), Austria (2,595th), Switzerland (2,357th), Denmark (769th), Norway (1,656th), and Iceland (2,015th). It ranks 2,223rd in Canada, 15th in South Africa, and Australia 982nd. Peter Krueger was born in Vistula Delta, Poland around 1693. He had two sons: Abraham Peter and Johann. His son Abraham Peter Krueger was born in Krebsfelde, Gross Werder, Poland around 1751. He married twice: Catharina Freisen and Anna Peters, and had a son named Franz Abraham. Franz was born in Krebsfelde, Prussia around 1795. In 1826, he married a woman named Anna in what is modern day Ukraine. They had a son named Franz. 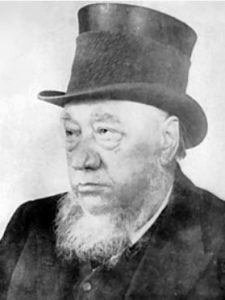 This son, Franz Krueger, was born in Blumstein, Ukraine, Russia in 1833. 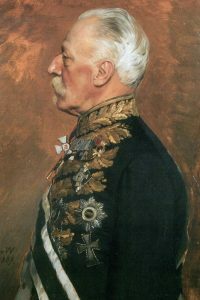 In 1855, he married Elisabeth, daughter of David Gerhard Schellenberg, and he had a son named Johann. This son, Johann Franz Krueger, was born in the same town in around 1870. He married three times: Maria Peters, Aganentha Wiens, and Maria Wiens. 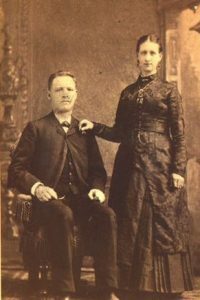 The last marriage took place in Whitewater, Manitoba, Canada in 1935. He had the following issue: Anna, Franz, Dietrich, Maria J., David John, and Margaretha Neufeld. His son, Dietrich Johann Krueger was born in Mantau, Ukraine, Russia in 1906. In 1932, he married Elisabeth Sukkau. He passed away in Manitoba, Canada in 1998. One of the earliest known settlers of the New World bearing this name was Georg Krueger who came in 1776. Another early bearer was Johann Krueger, who came to Long Island, NY in 1781. 3) Diane Kruger (1976) who is an American actress born in Algermissen, Germany known for her roles in films such as National Treasure, Troy, and Inglorious Basterds. 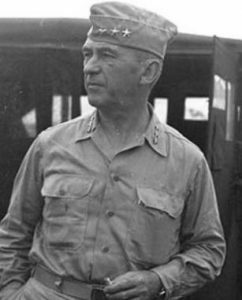 7) Walter Krueger (1881-1967) was an American General born in West Prussia, German Empire best known for his command of the Sixth United States Army in the Pacific Theatre of World War II, and also served in the Spanish American War, Philippine-American War, Mexican Revolution, and World War I. In the Revolutionary War (1775-1783), there were several soldiers with the last name Crugar or Cruger, which seems to be an Americanization of the German spelling.